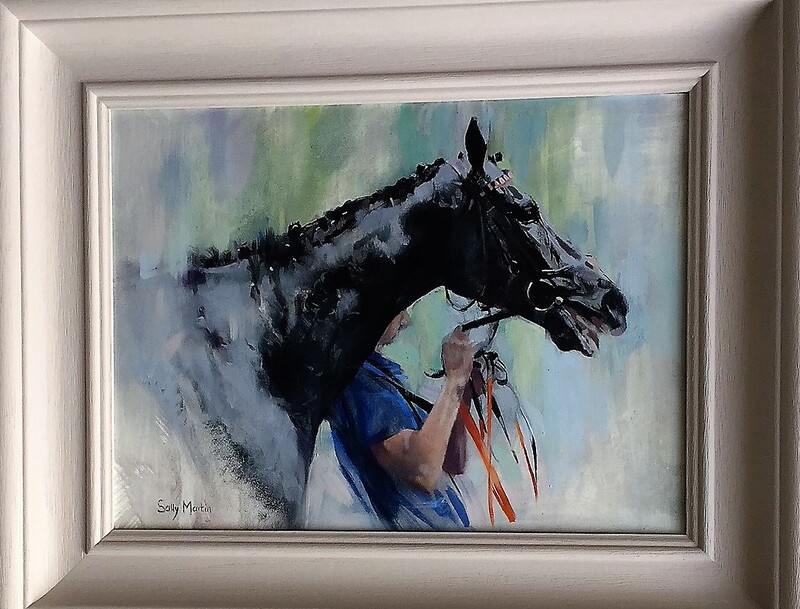 Sally finds the equine form endlessly fascinating and beautiful. 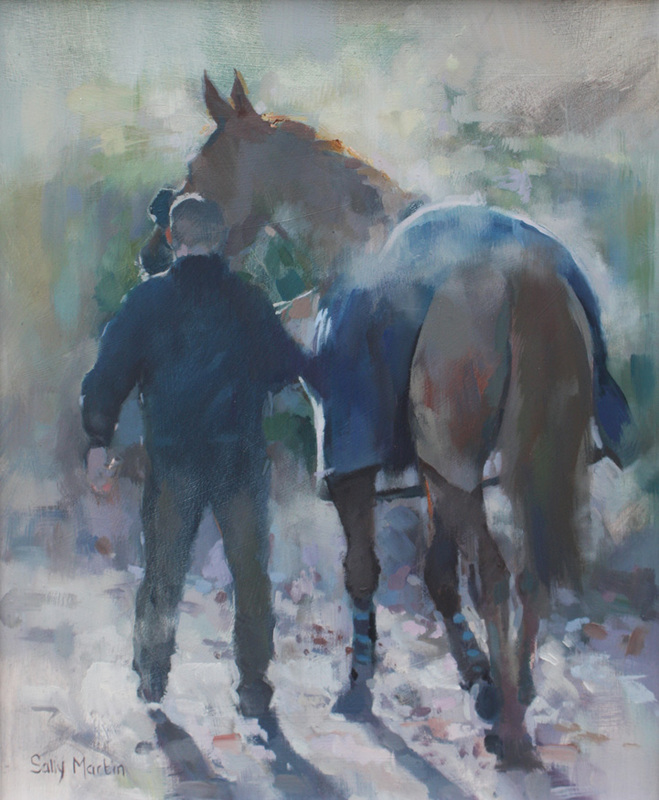 She is the acknowledged ‘mistress of dressage art’, able to create compositions which combine seemingly contradictory elements of elegance and power into one beautiful image. 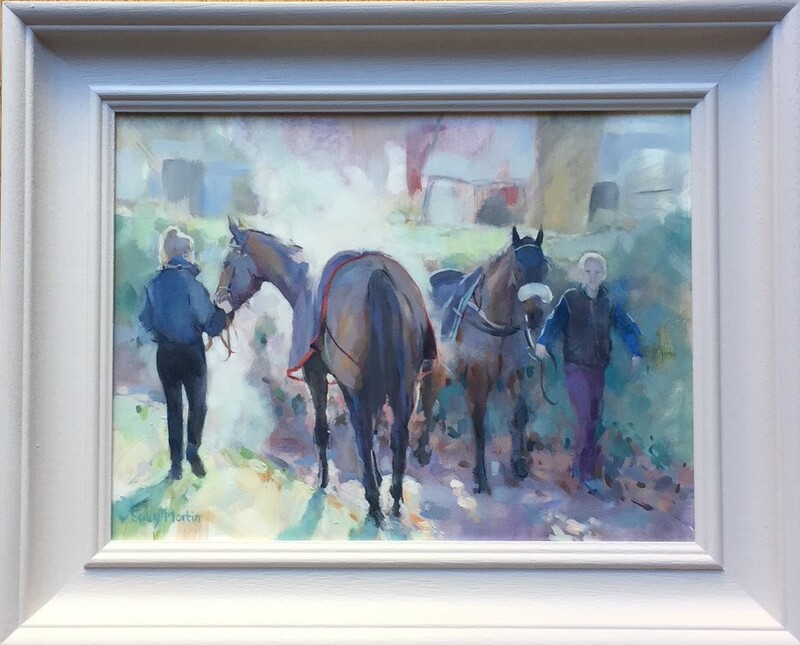 Sally’s experience of working closely with horses has provided her with a thorough understanding of the equine form, which has enabled her to capture its essence in an increasingly abstract expressionist style. 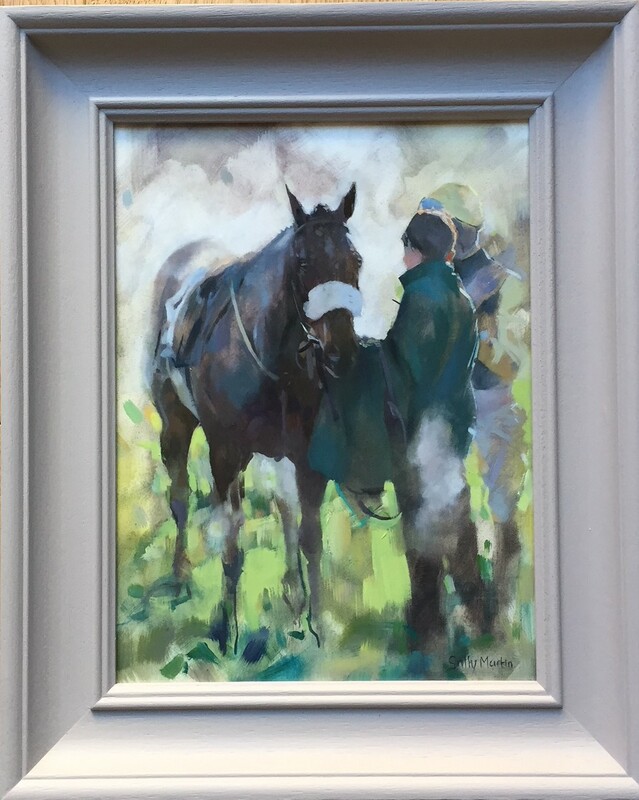 Using a wide variety of media – oil, acrylic, charcoal and watercolour, Sally invites the viewer to share in the equine story – be it the synergy of a moment in a dressage test, the revelation of colour in the shadow of a damp chestnut coat, the searing glance of a thoroughbred stallion or the speed and drama of a leaping steeplechaser. 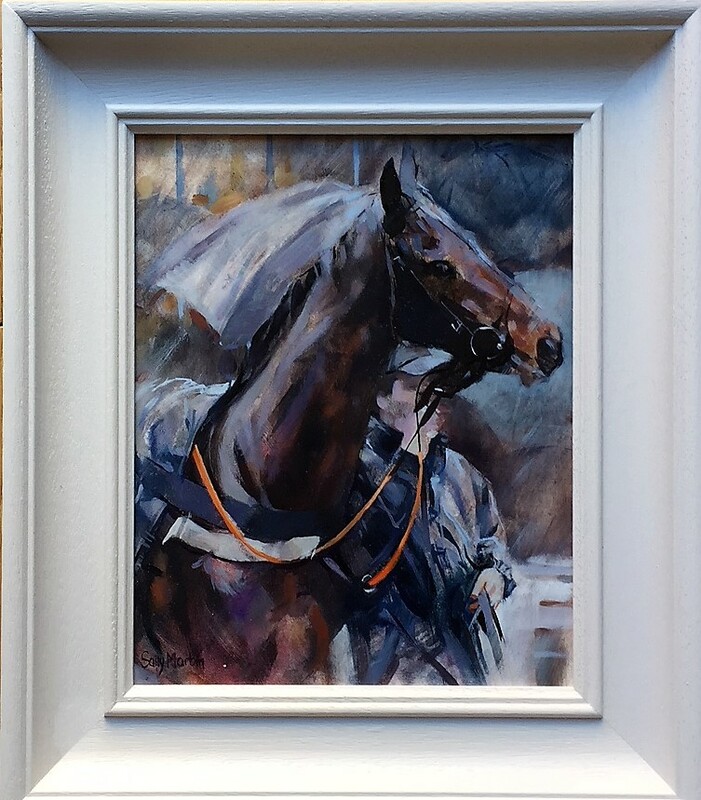 Sally exhibits nationally and internationally and has won numerous awards, notably the Society of Equestrian Artists of Great Britain prestigious Cuneo Medal awarded to the most meritorious group of work accepted by the SEA’s Annual Exhibition in London, which she has won twice. 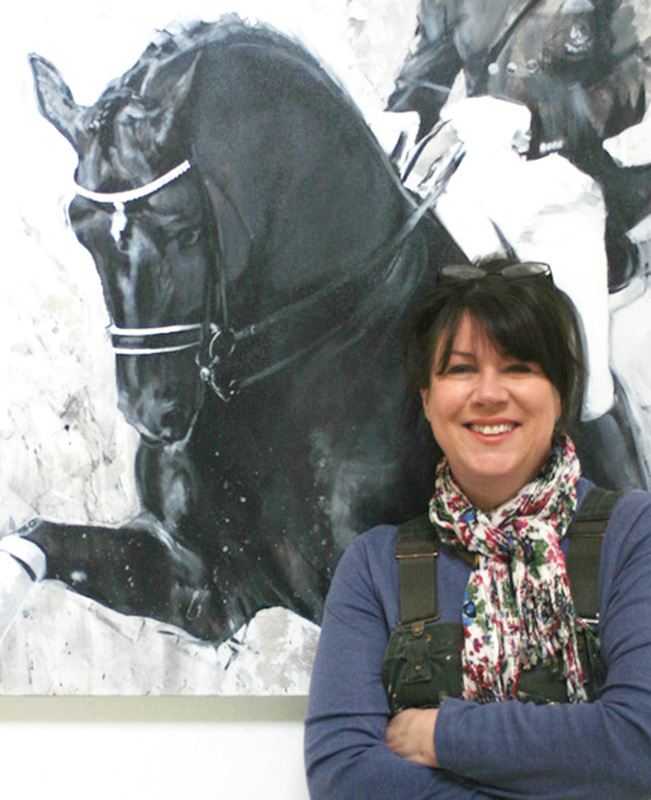 She is also a member of the American Academy of Equine Art.